I have chosen to write about Street Effective Self Defense vs MMA for our blog because publicly there seems to be a lot of confusion about the difference between these two very different kinds of arts. I find that a lot of people including a lot of MMA teachers simply do not know the difference between MMA and arts that are intended for real street self defense. So, I hope to shed a little light on it here in a way that will help everyone. The most interesting way I can think of to illustrate this point about the difference between Street Effective Self Defense & MMA is to publicly state how many times I have been challenged by MMA / UFC type fighters and to explain a bit about the outcome of those challenges. Over the years I have been challenged to fight (mostly by MMA /UFC type fighters and teachers) about 15 times or so. My basic response to such challenges normally goes as follows. First, I explain I do not train MMA and that because MMA is not what I do or train for that if I play by the rules in an MMA fight against an MMA fighter who is specifically training for such an event that I will probably lose although I do enjoy watching MMA and UFC events from time to time just like I like watching football, boxing or WWF wresting. This means that in an extremely violent street attack by someone young, strong and built such as an… (describe your average well built testosterone filled MMA guy who doesn’t need a lot of training to hurt someone here) that I will do whatever I can as rapidly as I can to end the encounter and I will not stop until one of us is completely incapacitated or dead because that is the reality of a terrible street encounter. If this means stabbing them with my knife, biting them, gouging, taking out one or both of his eyes, crushing his throat, breaking whatever small joint I can, stomping, using whatever objects might be laying around as a weapon etc then that is all acceptable and trained in my martial art as a part of street real self defense vs MMA which primarily trains for the ring. 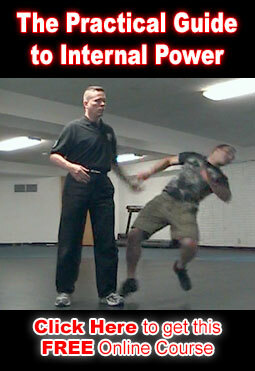 In real street self defense survival is the key and there is no such thing as cheating against a criminal attacker.